This is a two phase raise. Phase one will be a raise of £343,000 with phase two being launched later. 69 Temple Street, Rugby CV21 3TB comprises a former Builders yard with planning consent for the erection of 4 x 3 bedroom town houses and 3 x 2 bed flats together with associated car parking and amenity mews courtyard. The planning ref.no. is R15/0091 and was granted by Rugby Borough Council in September 2015. The site is located on the eastern side of Rugby town centre in close proximity to the A428. The railway station is approximately 1 mile to the north. The site currently comprises a mix of storage and office buildings as well as an existing house which is split into 3 flats. The size of the 3 flats are 556sf, 369sf and 376sf approx. The commercial element totals around 1150sf. The site totals .22 acres. The 3 flats are currently let on Shorthold tenancies with aggregate monthly rents of £1280. 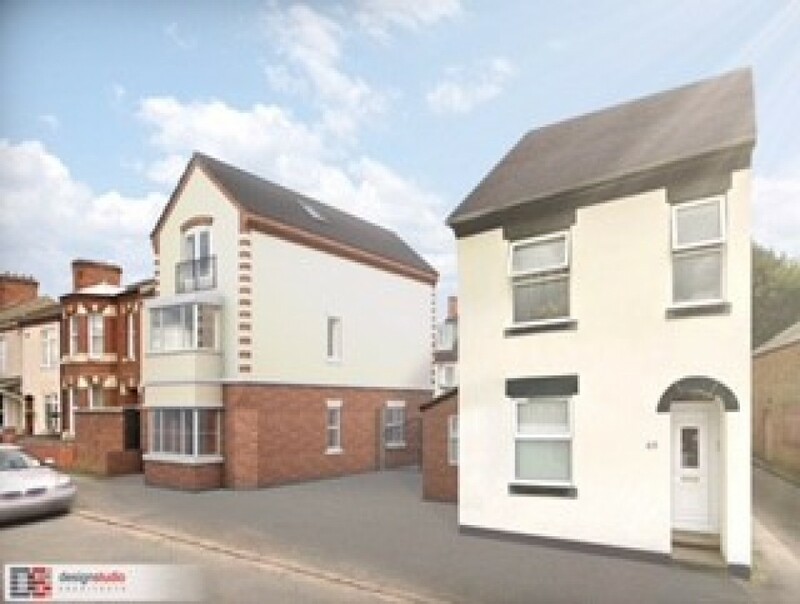 It is intended to retain the 3 existing flats and a small office, which will be turned into the site office/amenity block and in due course the owners new head office. The existing storage building will be demolished to make way for the proposed new development. 69, Temple Street ltd is a SPV set up by the owners for the purchase of the site. The company purchased this site in Q1 2015 and are now looking to raise the necessary funds to implement the development proposals. The Company purchased the property for £375,000 in April 2015 and this was verified by the RICS valuation at the time. Since obtaining the planning consent the RICS valuer has revisited his report and advised that the site is now worth £485,000. CrowdProperty have agreed to lend the developer £343,000 to release the current debt and pay some of the initial planning and pre start fees. The length of the loan is a minimum of 6 months and a maximum of 18 months. 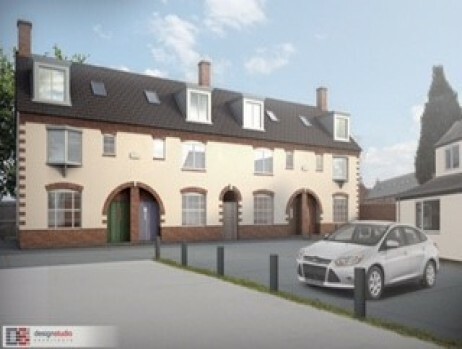 The developer will then return for a phase 2 lend of £670,000 to undertake the development and build the new residential units. Phase 1 of the loan is for a total of £343,000 while the current market value of the property is £485,000, therefore the initial LTV will be 70.7%. The total loan, including multiple phases and anticipated interest, to GDV will not exceed 70%. 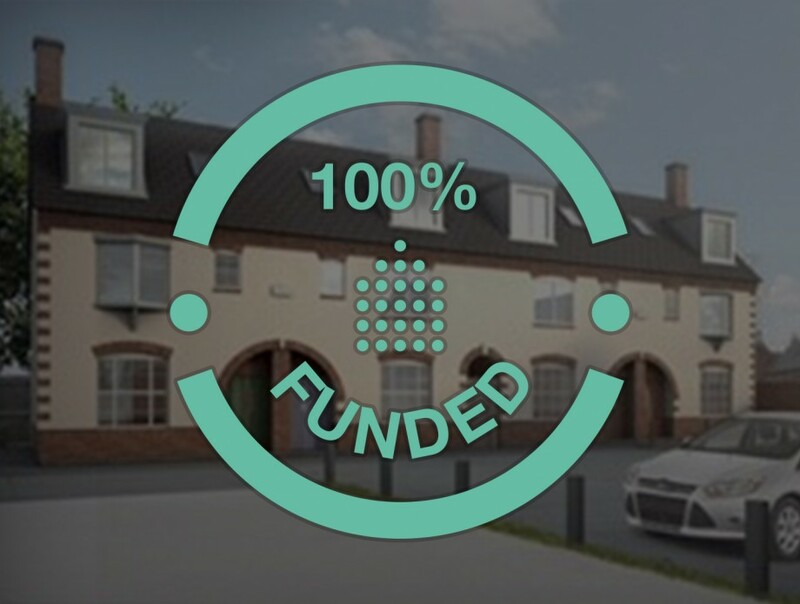 This is a profitable project, by an experienced local developer, in an area where there are strong investing fundamentals including good transport links and increasing population due to the creation of new jobs. 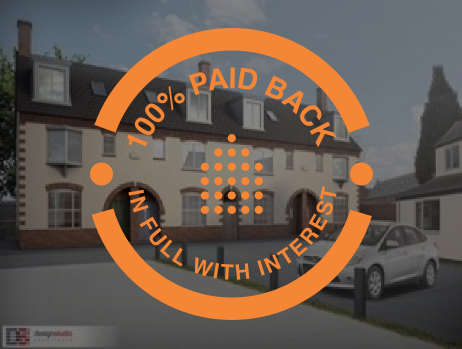 With a relatively low loan to end value of just 63% we are confident in the developers ability to refinance the properties if for any reason they are unable to sell them off plan which the preferred exit strategy.